Welcome to your free course. Watch it now and see why over 1000 students have given it a thumbs up with a 5 star rating! We hope you enjoy this taste of what the Career Skill Builder Library has to offer, the Create Personal Success course is just one of 150+ (and growing!) online career skills courses that make the Career Skill Builder Library such a powerful tool. Create Personal Success is shorter then the typical training course in the Career Skill Builder Library and is the course we suggest all new members view when they join as it's full of great advice on how to create your own success. Note: omited from this free version are the accompanying transcript of the videos in addition to the Create Personal Success workbook which is included in the Career Skill Builder Library version of this course. Take Charge of Your Career and Join the Career Skill Builder Library Now and Create Your Own Success. Join today and pay only $89 for the first month and then $29 per month there after (remember you can cancel at anytime), get access to everything the Career Skill Builder Library has to offer and lock in this special offer! Flexible assess on multiple devices including PC, Mac, Tablets, Android and Iphones. Certificates and reports to mark achievements. Hi and welcome to our information page about the Career Skill Builder Library. I am Jason Smith the Founder of Courses For Success. I would like to tell you a little bit about us and explain what the Career Skill Builder Library is about. I started this business 8 years ago, we started with only 5 courses and now have grown to feature a diverse range of over 1000 online courses available across a wide variety of topics. Approximately 3 years ago my team and I realized there was a great opportunity to develop a series of career related courses that could fill the gap for people wanting to build their professional skills outside traditional certifications and university courses and came up with the strategy to build a series of affordable courses that people could study to build their soft skills. These courses were developed over the last 2 years and we are selling them individually on our website for $199. These courses have been very popular and as a result we noticed that lots of students have been returning to purchase multiple individual courses. At $199 we felt that while there was a demand to study multiple courses it was simply not feasible at that price point for students to able to afford studying 3 or 5 courses if they wanted to specialize in an area by studying courses that complimented each other, hence we started looking for a cost effective solution that would be great value for our students while still taking advantage of the great online system we utilize to deliver our courses, this solution is the Career Skill Builder Library. The Career Skill Builder Library is an online platform that you can access at any time, designed around making it simple to develop your career skills. Currently included are over 150 professional skills courses, covering business, career skills, Microsoft and specialty courses such as Wedding Planning and Photography. In addition to the training courses, we have developed additional resources including resume and covering letter templates packed full of tips and tricks to writing the perfect CV, tools and career planning advice such as our Career Planner Workbook and Career Advice Articles. All this content is constantly being expanded with new resources and courses added each month. Currently we sell the Career Skill Builder Library on our website for the discounted rate of only $249/year reduced from $600. Even at $600 I think it is exceptional value, however it’s still probably unaffordable for many people hence the reason for offering the reduced price of only $249/year. Now More Affordable: We recently made a big change to Career Skill Builder Library by making it more affordable for those people who cannot afford to pay for a year’s access. Now there is the option to pay only $89 for the first month and then $29 thereafter (this is exceptional value given that there are over 150 courses with new courses and resources being added each month) We are testing this option and will be contacting you to obtain your feedback, as we would appreciate your help in deciding if we will make this a permanent option. Based on your feedback we will decide if this option will remain or if in fact we will increase it in future. What does this mean for you? - it means that you can get started for only $89, you get full access to all our courses including our very popular Personal Success Course which we sell for $199. 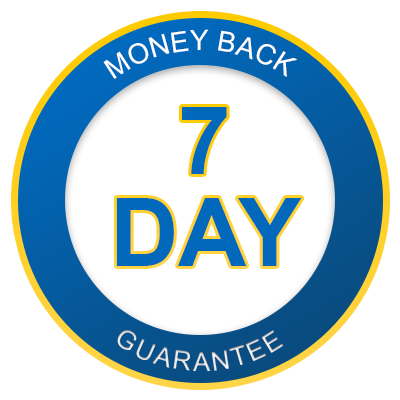 10 day money back refund - there is no risk what so ever for you, if you decide after 10 days that you want a refund we will happily accommodate your request and provide a full refund. Payment with PAY PAL: To make it even easier for you we have set up the option for payments to go through PAY PAL, so you are protected. You can cancel your monthly payment with PAY PAL anytime, however we would appreciate if you could send us an email with some feedback on why your cancelling, it could simply be that you only needed access for one month and you have studied all the courses you needed or it could be for some other reason. We would love to get your feedback. PS: After joining the library you may decide to join up for one year and pay for 12 months in advance, you can do this at any time and only pay $249/year, this option will save you $159 and is worth considering, simply send us an email and we will get this organized for you and your 12 months will start from the new date.